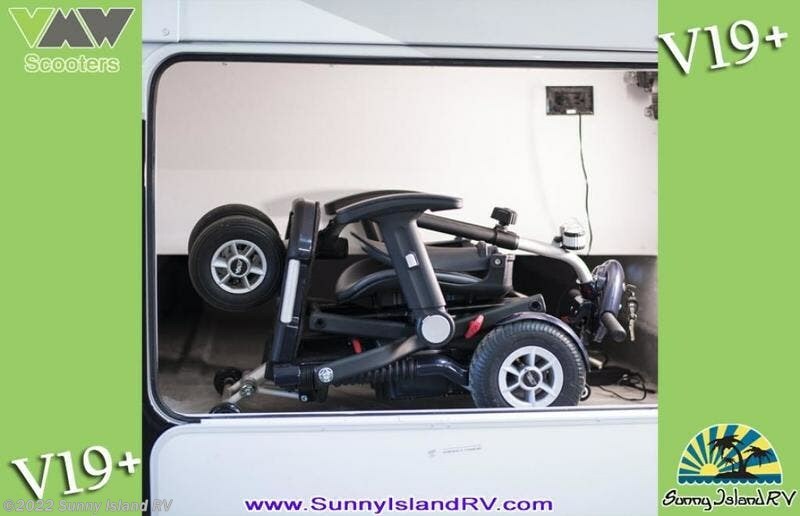 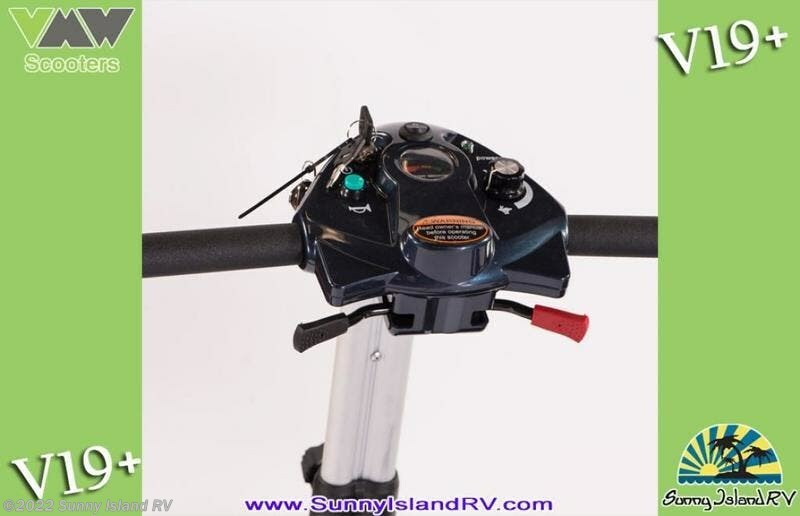 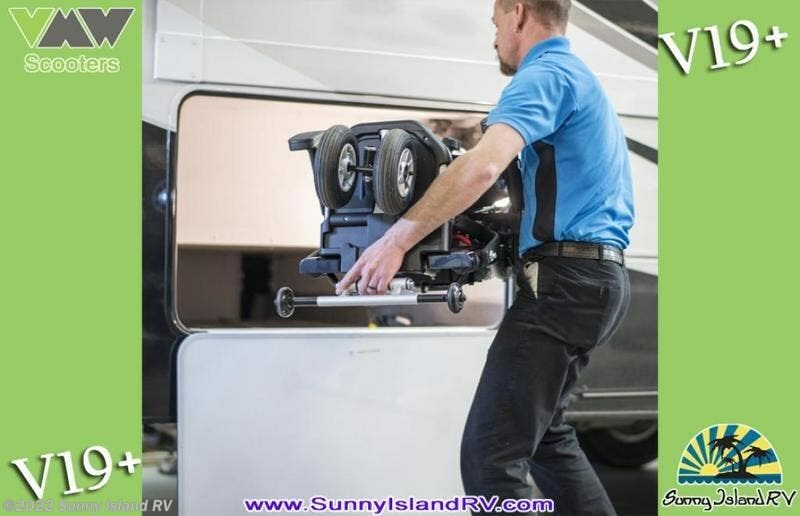 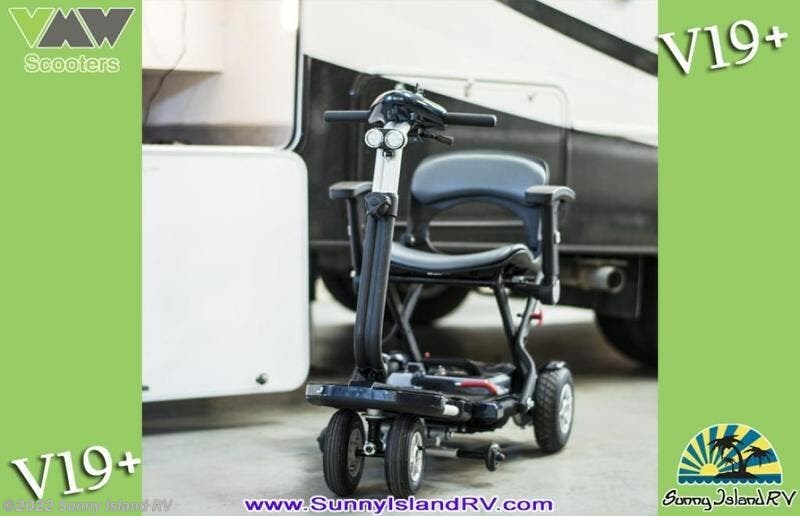 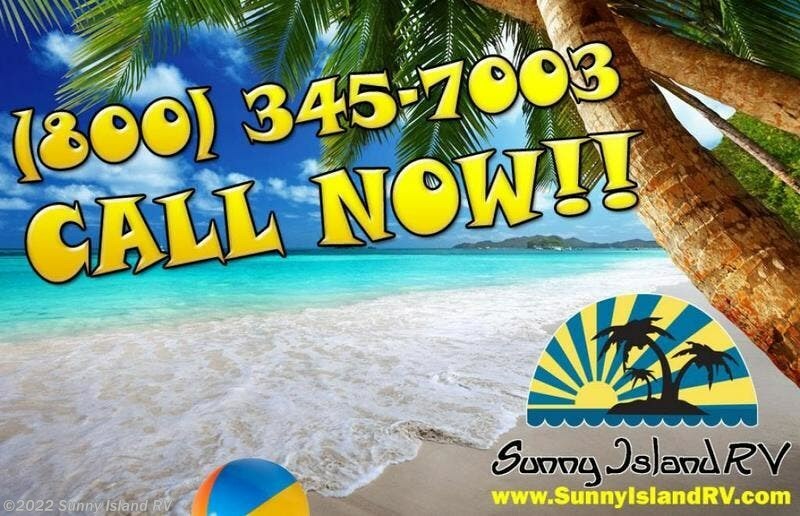 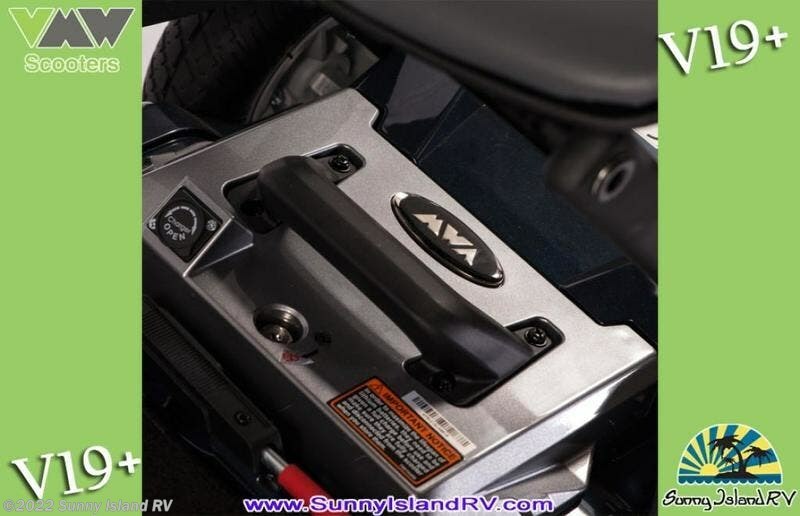 Vita Mobility Scooters Are The Answer To Ease Of Travel While At The Campgrounds!! 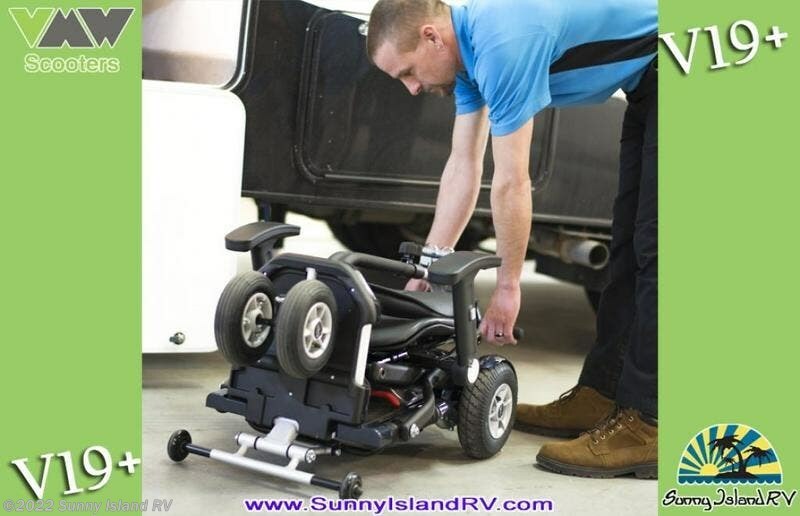 Easy To Store And Bring Along On You Camping Journeys!! 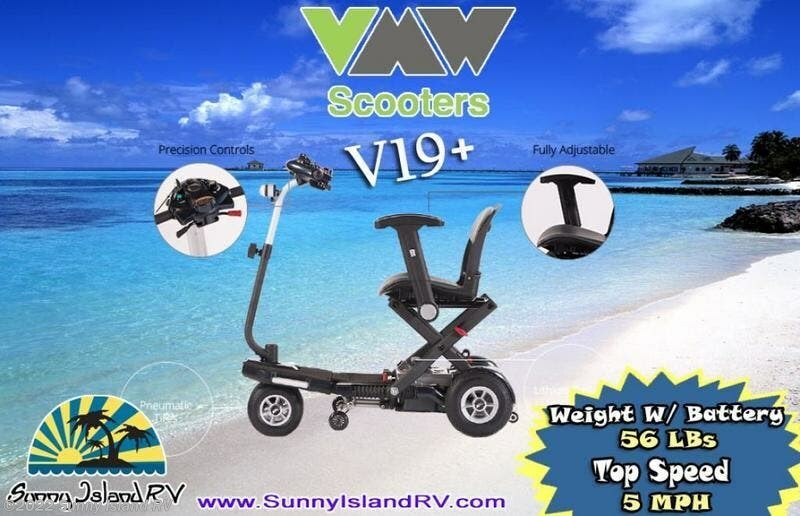 The V19+ is the most advanced model in the V19 series. 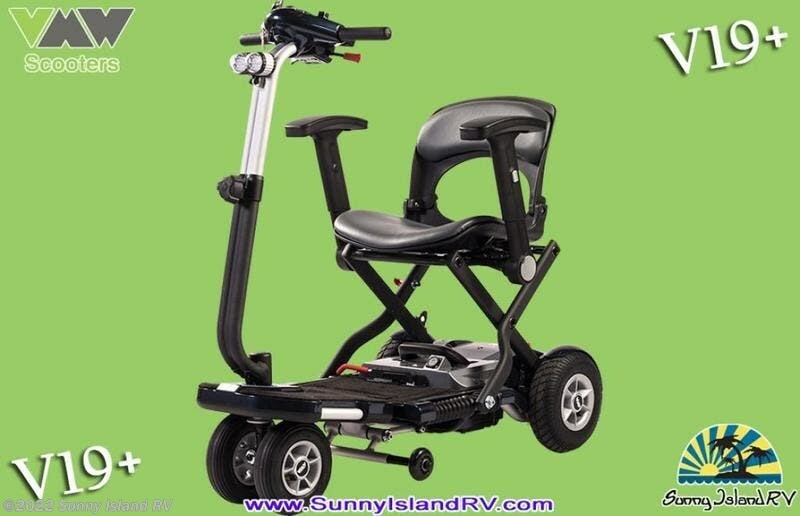 This foldable and highly portable mobility scooter is equipped with advanced controls and accessories that create the ultimate user experience. 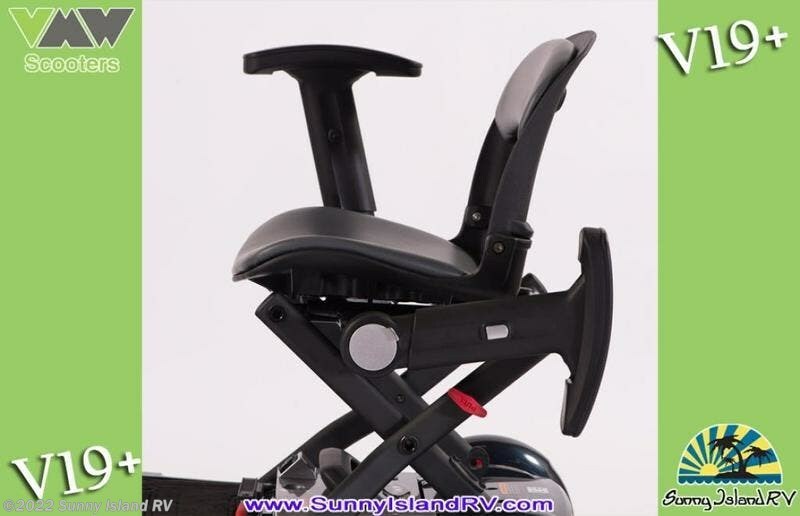 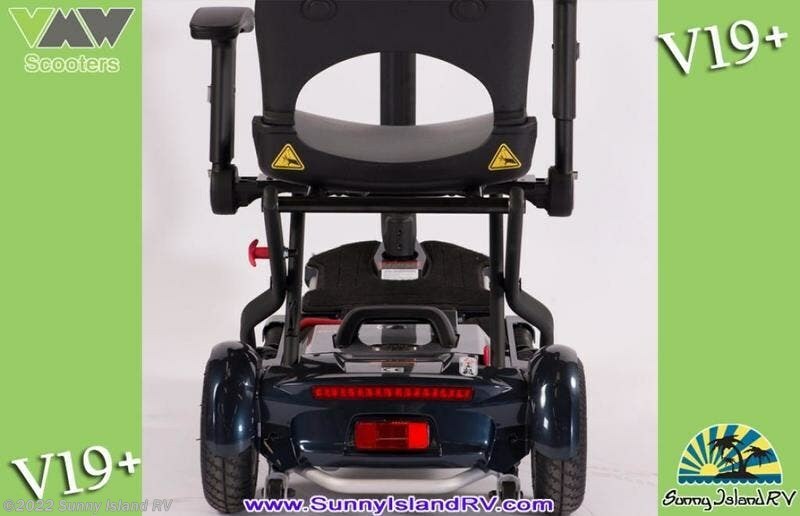 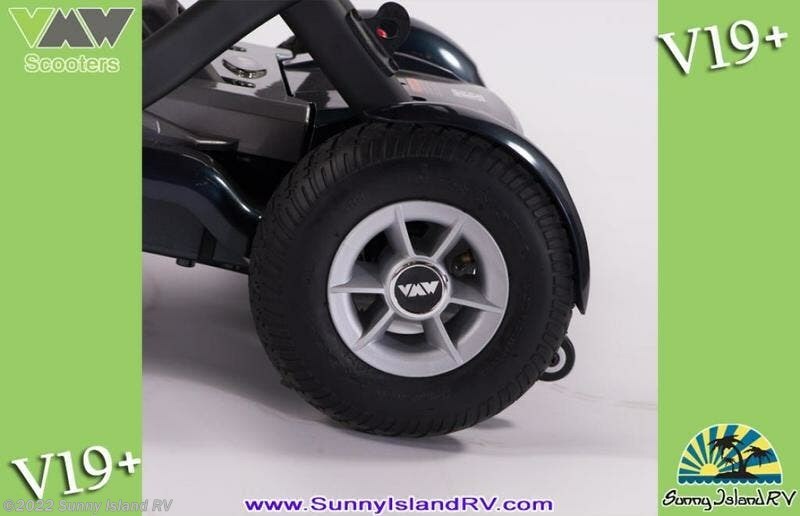 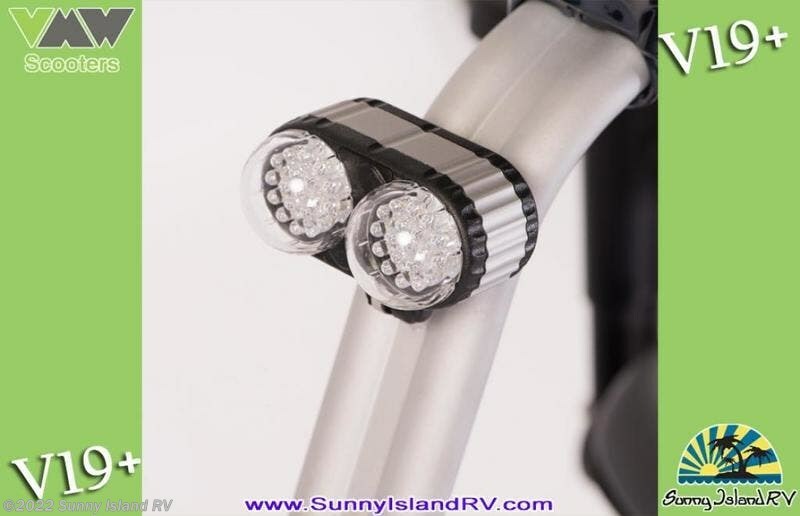 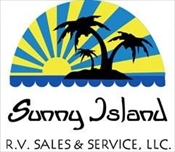 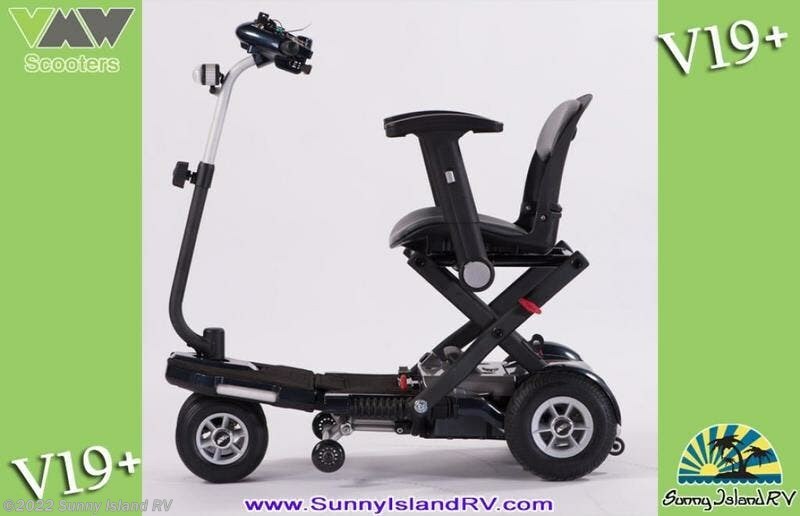 Features Include: Innovative Folding, Anti-theft locking mechanism, Speed Sensitive Range, Indego Suspension, Ergonomic Seating, LED Front & Rear Lights, Portable and Light, Pneumatic Tires, Aluminum Alloy Wheels, and Reaching speeds up to 5 mph. 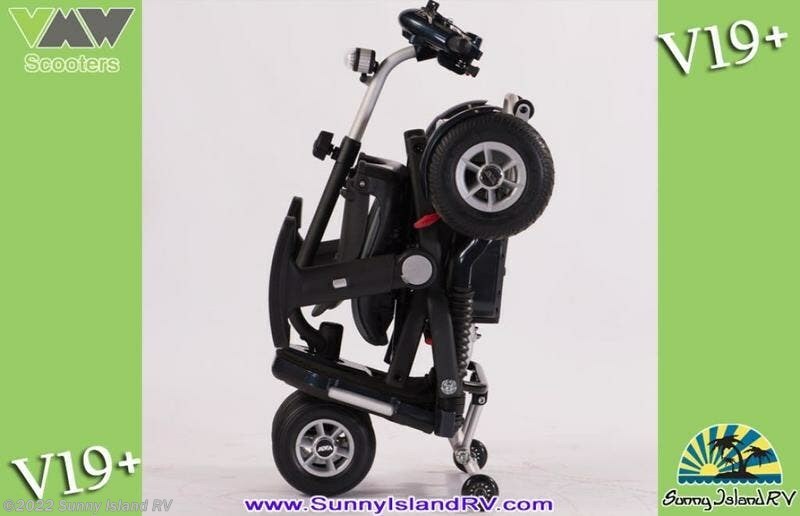 Front Wheel: 7” x 1.6"